Our Private Investigation Services, covert cameras & HiTech Spy Equipment help clients obtain the facts required. Our Private Investigators have been featured in many TV appearances …. See some of our News Appearances below. 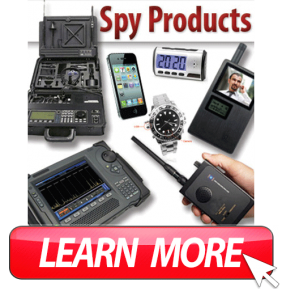 Spy Center .com is the ultimate solution for Private Investigation Services, Spy Surveillance Products, CCTV Surveillance Products , Security cameras, and GPS Tracking Systems. When you need accurate evidence, intelligence and knowledge…contact the best Spy Shop in Miami Dade County, Broward, West Palm Beach Florida and all Nationwide Spy Shops.